The Wright family of Clydesdale Harriers was a three generational dynasty which produced runners who won national titles, football players and coaches as well as much-in-demand football trainer and physio. Clydesdale Harriers was founded in May 1885 and the three Wright brothers (Jack, George and William) were founder members. Jack’s sons Harold ( a sprinter) and Willie (a runner of modest talents but a first rate traainer, masseur and physio) carried on the family traditions and Harold’s son John won the Scottish Junior Championship twice (1956 and 1957). 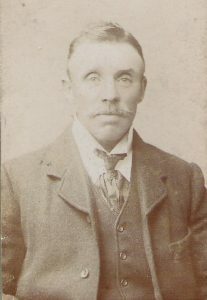 In Season 1889/90 the club handbook reported that “The past year was very fruitful in the bringing out and developing of cross-country talent of the very highest class, the best probably being JW McWilliams (cross-country champion of Scotland), C McCann (Scottish CCA Champion), C Pennycook (Scottish One Mile Champion) and Jack Wright (the ‘crack half miler’ but who was prevented by illness from taking part in any of the championships).” This was no small praise when the Annual Report also said that “At present the Clydesdale Harriers are immensely stronger athletically than any other Scotch organisation.” By 1890/91 he was the Local Captain for the Dumbartonshire section and was listed as having won one first prize and five seconds in the year as against brother George’s seven firsts, one second and one third. This was the time of the split between the club and the Scottish Cross Country Association and one of the innovations brought in by the club was the running of a Junior Cross Country Championship of Scotland. The Annual Report again: “The Scottish Harriers Union held a Junior Championship at which eleven teams competed. Teams were entirely from our various sections. The individual cross-country championship was won by Jack Wright in 48:50.” As far as the SHU Junior Cross Country Championship was concerned his brother George had won it a year earlier. The runners mentioned above such as William Snooks, Kibblewhite, McWilliams were all noted athletes who are well known to track statisticians. In the event of any difference between him and a club member, the member be referred to the Committee. He had clearly worked with committees and sportsmen before and knew what he wanted and needed. This arrangement carried on until the War started, and the information gives an insight into what was regarded as necessary for the running of a local club. How many clubs nowadays have this kind of provision for their athletes? He was a good sprinter but reports indicate that he was an unlucky one. seems to have been an unlucky one. The top club sprinter – referred to in the Minutes as our champion sprinter – and winner of many club sprints and track events, he was unlucky that the club had no trophies for track running at the time or he would surely have won several. 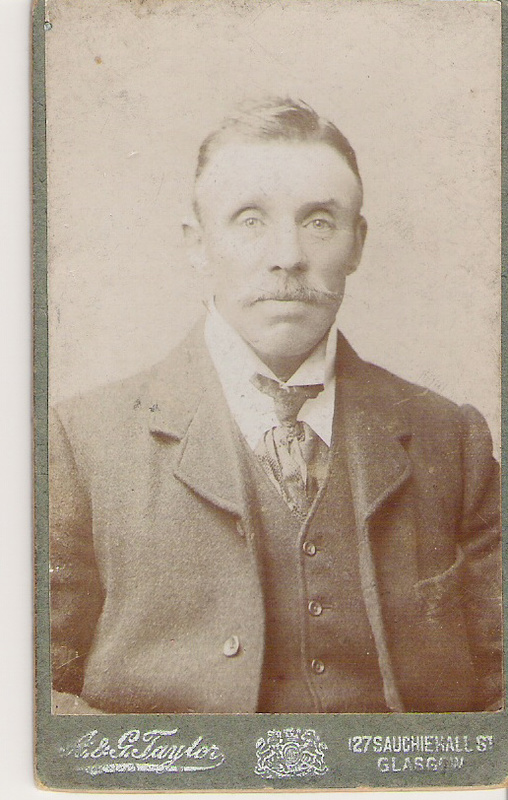 He was trained by his father in Clydebank. They used a farm track off the Great Western Road Boulevard at times where he sometimes ran against a greyhound in training. As for races, he was a bit unlucky as the race at Monkland Sports indicated. The ‘Press’ said that Harold had very hard luck in the Open 100 just being pipped in his Heat but ‘his time is only delayed.’ But how unlucky can you get? A report on the Queen’s Park FC Sports in June 1932 (just one week later) reads as follows: “Harold Wright waltzed through his Heat in the hundred and appeared to do the same in the semi final by at least a foot. The judges decided otherwise however and the crowd on the terracing were not slow to let them know of their mistake or whatever it was. The runner who was awarded the race protested to the judges in favour of Wright but it seemed beneath their dignity to change their decision.” This was not the only case of Harold reaching the second round of the sprint and then losing out to a doubtful decision. The ‘Press’ report of 17th June 1932 joked that he was maybe wasting his time trying 100 yards handicaps. He won the 880 yards off 35 yards easily. This was maybe confirmed two years later when in June 1934 he was second in the half mile off 26 yards behind J Ewan (off 3 yards) and ahead of Tommy Arthur (off 6 yards). Half miles seem to be a kind of family tradition! Two weeks later and at the Lochwinnoch Sports Gala he won his Heat of the 220 yards but was unplaced in the Final. A month later and at the Darvel FC Sports Harold was again in the Final of the Men’s Sprint but failed to qualify being beaten by the ultimate winner of the Final. All summer he was a regular in relay teams. At the start of the 1933 season he won his Heat of the 100 at St Peter’s Sports and Excelsior in the ‘Press’ commented that qualifying and not winning was becoming a habit. Two weeks later Harold ran in the British Legion Sports and had three first places. He started by winning the invitation 100 yards, then won the handicap 100 yards and then took first in the handicap 220 yards! 1934 was his last competitive season and in the first club confined meeting of the year he was second (off scratch) in the 100 yards to D Strachan (of 2 yards and ahead of H Anderson who was off 5 yards. In the half mile he was second – off 26 yards this time – to J Ewan (3 yards) and in front of Tommy Arthur (6 yards). Came the 120 yards in August he won the first Heat, Tommy Arthur won the second and in the Final they dead heated and shared the points. The only other race reported in the ‘Press’ was the 100 yards at the British Legion Sports (a fairly big local meeting) he as third in the 100 yards, a race so close that it was said only the judges could separate the runners. The result of the club’s points contest was a win for J Ewan and J Martin on 43 points with Harold third with 39. Harold’s son John, trained by Willie, won the Scottish Junior (Under 20) Cross Country Championship twice – an entirely Wright Dynasty project. The parent, coach, athlete triangle being entirely within the family! John is primarily known as a cross country runner who took up the sport as a Youth (Under 17) in 1954. In his first run in the National Cross Country Championships was a tenth place in the Youths race – good enough but the following year he was second – only 14 seconds behind Billy Goodwin of Bellahouston Harriers and five ahead of J Ewing of Victoria Park. The team was also second. The Bible of Scottish athletics at the time was the ‘Scots Athlete’ magazine produced by Walter Ross and one of its top features was John Emmet Farrell’s Running Commentary which dealt mainly with Scottish athletics in a very knowledgeable way but also covered the international scene. He previewed the race and then reported on it in some detail and it is his words that are used below. ‘The race for the Junior Cross Country Championship of Scotland appears to be, at least on paper, to be the most open of the races. …………………..Strictly on the basis of the showing at Lenzie, P McParland of Springburn and Geo. Govan of Shettleston who came to the tape in close proximity may be installed as co-favourites with that grand little Clydesdale runner John Wright lying handy.’ (Running Commentary by J Emmet Farrell) was how it was previewed and in the next issue the following report appeared. May 1957: ‘Slim, immaculately stylish John Wright of Clydesdale running with machine like precision trounced his rivals in the Junior Championship and emerged the easiest winner of the day, an ample compensation for last year’s runner up position. His form overshadowed the competent running of Edinburgh Eastern’s D. Togwell and Springburn’s J Rooney who finished in front of the more fancied Geo. Govan of Shettleston’. The following year it was held again at Hamilton Race Course but over a different trail. In previous years it had been three laps of the race course proper but this time the course left the race course and went down past the Mausoleum and along the banks of the Clyde before coming back up to the course again. 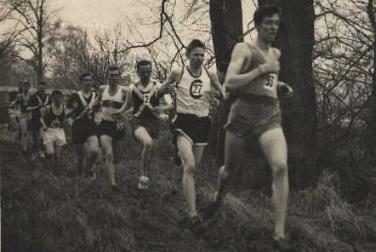 He won again by an even larger margin – this time from Joe Connolly of Bellahouston Harriers leaving many good men such as Tommy Cochrane and Ian Harris of Beith behind him. He went pn training and racing and went into 1958/59 in good heart. One of the questions that any athlete would/should be asking at this point would be about the training he was doing to get these results. Well, he was training six days a week, never training on a Friday. His week went as follows. Saturday: A race or an inter club run. Sunday: 12 laps of the perimeter at the Recreation Ground at Mountblow in Clydebank. The perimeter was a fairly accurate half mile and his coach, Willie Wright, always believed in a fast start to be right up with the race. This meant a first lap in about 2:07 followed by another in about 2:12 before settling in to laps of 2:20. In other words a mile in 4:19 followed by five in 4:40. It would be a very good session to-day. Monday: He would usually run from his home in Linnvale, Clydebank, out to Anniesland Cross (going round the outside of the toilets at the furthest point to make sure the distance was always the same) and back. This was just under 5 miles and took a bit over 23 minutes. It was again a fast run. Tuesday: It was a club night so he would train from the Baths in Bruce Street with the pack over distances of 10 or 12 miles most nights. Wednesday: Willie Wright was friendly with Allan Scally the Shettleston Harriers coach so on Wednesdays he would go to Helenvale track in Glasgow and train with Graham Everett. Where Willie usually got John to do repetition 400’s with 400 jog recovery (which was pretty standard for the time) Scally kept the 400’s in 58 or 59 seconds and progressively reduced the intervals until they were doing 15 x 400 inside 60 seconds with 60 seconds recovery. (Graham was also an excellent cross country runner but was better known as seven times Scottish One Mile Champion and British Mile Champion who defeated Murray Halberg (New Zealand) for the title). Thursday: Another club night but he would only do an easy 4.5 or 5 miles if he was racing on the Saturday. Friday: He never ever trained on a Friday. In 1958, like every other top athlete in the country he wanted to make the team for the Empire Games in Cardiff but only just failed to do so. The trials were at the Scottish Championships and he ran in the Six Miles on the Friday night where he finished third in 30:22.8 and with three to go he should have been selected. But the selectors decided instead to take only the first two finishers and add in Ian Binnie who had run but dropped out. On the Saturday John could do no better than sixth in the Three Miles in 14:40.2. The track at Meadowbank was very poor and cut up dreadfully so that after the first couple of laps, the runners were running in the third lane. Most of the athletes signed a letter of protest to the SAAA’s about it. It was a disappointment but nothing compared to the disappointment the following year over the country. Although known as a country specialist he was clearly also a considerably good track runner with wins in many open and highland games meetings such as Shotts, Strathallan, Bute and Cowal. On one occasion he ran the first stage in the Scottish Medley Relay Championship at Cowal and although not an 800 metres specialist he was barely two metres down on Mike Rawson of Birchfield at the changeover and ahead of some top class half milers such as JP Paterson and Neil Donnachie. After a good season he finished a very good ninth in the National Cross Country Championship of 1959 in a bunch of three with Connolly (Bellahouston), Ross (Edinburgh Southern) and John being seventh, eighth, ninth. The selectors decided to take only seven to Lisbon and John and Ross were told they were reserves but not travelling. The runners spoke to each other and agreed to pay their own fare out to Portugal. Their clubs put up most of the money and then they were told that there was only room on the plane for seven. They couldn’t come. It was finally revealed that most of the plane seats were taken up by officials. On the day one of the selected seven athletes couldn’t run and John’s name was actually printed in the official programme. It was this event that led to him joining the Army to do his National Service – all 18 year olds had to do two years of National Service but like many others John had had his deferred because he was doing an apprenticeship in Singer’s Factory and could have had a further extension but he was so peeved that he decided at that point just to go and do it then. When he reported to Oswestry for six weeks square bashing (ie basic training) he saw that they had a running track and asked one of the regulars if he could do some running. The guy happened to be the regimental cross country champion and John didn’t get the permission. After basic training he was posted to Germany and won the regimental championship despite going off the course and then represented the regiment at the Area Championships where he beat the much more fancied runner from the Gordon Highlanders. They soon approached his regiment asking if he could be transferred to their Unit where he would be expected to train and run and could have every facility to do so. Without asking him, the offer was turned down and he stayed with the regiment. He won the Divisional Championships and went to the BAOR Championships at Dusseldorf where he finished second to Ben Grubb – British International cross country and steeplechase runner. He ran regularly thereafter with such as Ernie Pomfret (another GB Internationalist), Tommy Cochrane of Beith and other high quality athletes. He also joined a German club – MTV Celle – and ran for them regularly with good results with his friend Terry Wells who had not been a runner before joining up. He enjoyed this time and combined the club running with Army duties. When he left the Army he was running really well after training and racing with guys such as Pomfret and Grubb. He ran a time trial over 3 Miles and was inside 13:30 which looked good for future athletics. John returned after his two years National Service intent on taking up where he had left off but unfortunately he injured himself on one of the local tracks and despite several years of trying to get back in business of running at the top level had to retire from the sport with his undoubted talent unrealised or tested to the full.